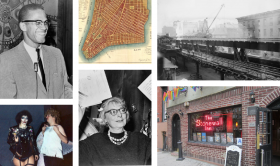 Jane Jacobs’ birthday on May 4 is marked throughout the world as an occasion to celebrate one’s own city — its history, diversity, and continued vitality. “Jane’s Walks” are conducted across the country to encourage average citizens to appreciate and engage the complex and dazzling ecosystems which make up our cityscapes (Here in NYC, MAS is hosting 200+ free walks throughout the city from today through Sunday). 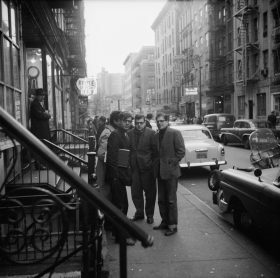 But there’s no place better to appreciate all things Jane Jacobs than Greenwich Village, the neighborhood in which she lived and which so informed and inspired her writings and activism, in turn helping to save it from destruction. 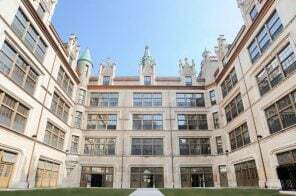 As the clock ticks down on a significant and decades-old property tax break for residents of the 420-unit West Village Houses, developer Madison Equities has proposed a possible solution–with a price, Crain’s reports. 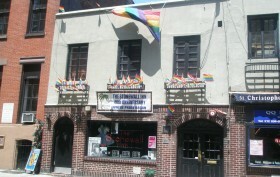 The unassuming affordable West Village cooperative located between West Street and Washington Street was developed in the 1970s by Jane Jacobs. The tax break expires in March, and residents are scrambling to find a solution to offset the impending increase in monthly fees. 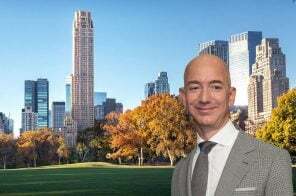 The development firm has attempted to entice shareholders with another option: an offer to purchase the buildings, demolish them, and allow current residents to snag affordable apartments in a new 42-building development that would span seven sites bounded by Washington, Morton, West and Bank streets. The new development, which would add yet another massive apartment complex to the low-rise neighborhood would also include luxury units. 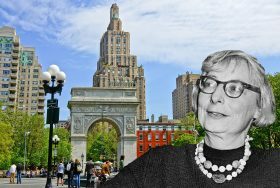 One of the most iconic battles to decide the fate of New York City was waged, in the 1950s and ’60s, by Jane Jacobs and Robert Moses. 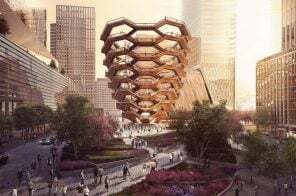 He, a Parks Commissioner turned power broker, was known for his aggressive urban renewal projects, tearing tenements down to build higher, denser housing. She, often dismissed as a housewife, emerged as his most vocal critic—not to mention a skilled organizer with the ability to stop some of Moses’ most ambitious plans. 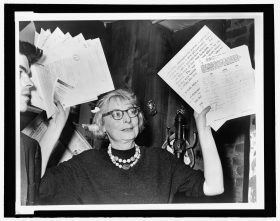 A new documentary, Citizen Jane: Battle for the City, takes a close look at the groundbreaking work of Jane Jacobs and its importance in our urbanizing world today. Matt Tyrnauer, the director behind Valentino: The Last Emperor, compiled footage of both Jacobs and Moses alongside 1950s and ’60s New York, which is paired with voiceovers of Marissa Tomei and Vincent D’Onofrio as the battling duo. 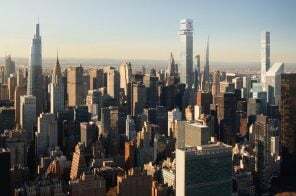 Experts in urban planning—everyone from Paul Goldberger to Robert A.M. Stern—also discuss Jacobs’ massive influence on housing policy and urban planning, as the film makes a convincing argument that Jacobs’ planning philosophies are needed now more than ever. If you have even the slightest interest in architecture, urban planning, and NYC history, you know Robert Moses. 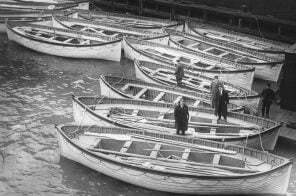 Unforgettably profiled as the “Power Broker” by Robert Caro, Moses was the “master builder” of mid-20th century New York and its environs. 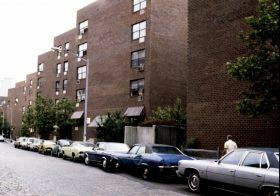 He was a larger-than-life character who had very set ways of approaching urban design. He advocated for highways over public transportation (he built 13 expressways through NYC), dense housing towers over low-scale neighborhoods, and communities segregated by race and class over organic, mixed-demographic areas. 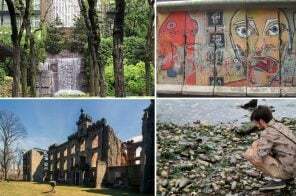 Of course, there are plenty of much-loved aspects of the city that also came from Moses–Jones Beach, the United Nations, and ten public swimming pools like the one in McCarren Park. Regardless of your feelings on Robert Moses, though, we can all agree that the city would not be the same without him. 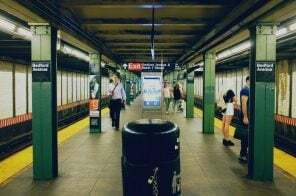 But a lot has changed since he lost his post as director of the Triborough Bridge and Tunnel Authority in the mid 1960s and even more so since he passed away in 1981. So we can’t help but wonder what he would think of our fair city in 2015. 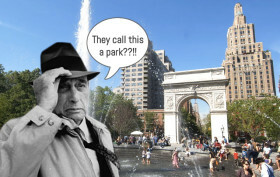 To have a little fun, we planned a present-day tour for the ghost of Robert Moses. Any architecture history student or design nerd knows about Le Corbusier (1887-1965), one of the founders of modern architecture and a truly one-of-a-kind urban planner. For those of you who aren’t as familiar with Charles-Édouard Jeanneret-Gris (his given name; he was French-Swiss), one of his most noteworthy urban ideas was concept of “towers in the park.” Part of his Contemporary City plan (and later Radiant City plan) to house three million inhabitants as a way to deal with overcrowding and slums, towers in the park were skyscrapers set in large, rectangular tracts of lands with open space between the buildings. 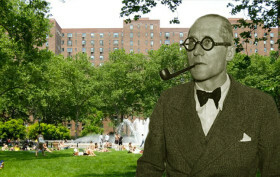 Whether they were consciously influenced by Le Corbusier or not, many projects in New York City mimic his vision of towers in the park, and we’ve decided to take a look at the most well known of this architectural crop, as well as some other ways the famous architect left his mark on NYC.